“When we get to the racecourse, the horses are unloaded, have their legs checked and are put in their stables, given some hay and water and then left to relax for an hour. The lorry is then washed out and, while the horses enjoy their breakfast, we go and find something to eat in the canteen. “The horses are then plaited and brushed, before being brought from the stables to the pre-parade ring. Tim brings the saddle, but if he isn’t at the course I fetch it while another member of staff looks after our runner, and we saddle the horse together. “After the race, we return to the winners’ enclosure (hopefully!) and, after photos with the owners and horse and while the celebrations continue, the horse is taken back to the stables, showered off and then walked for around 20 minutes before returning to the box. We then follow the same routine with our other runners and, after the last of them, ensure the kit is washed, cleaned and put away before loading the horses up for the journey home. 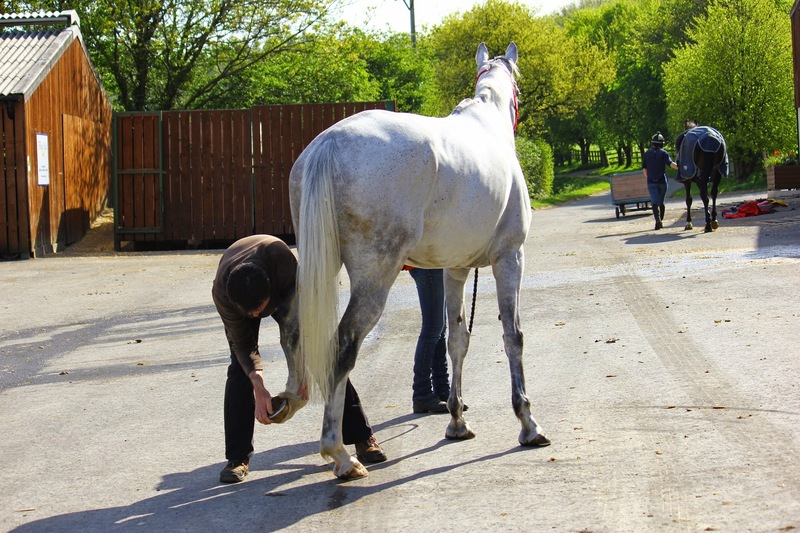 We leave no earlier than one hour after our last runner, checking the horses’ legs before we leave and again on arrival back at the yard.